Love UnVeiled was blessed to be given a set of love letters from a dear friend at a training retreat in North Carolina. These love letters are meant to be printed out and placed in individual envelopes and then given to friends, family, prayer partners, and even people you may not be familiar with. These letters, written as personal notes from the Father, are blessings to so many! 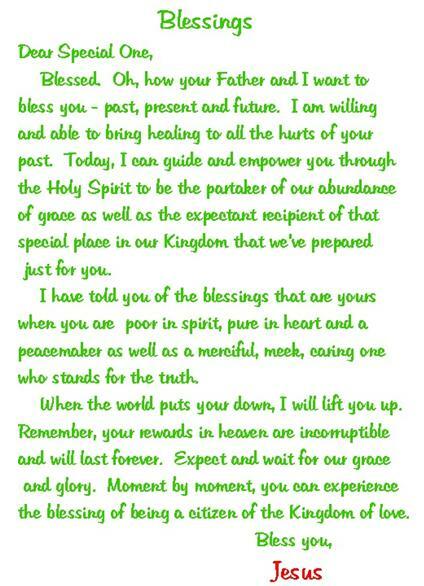 We hope you will be blessed as you read them and pass them along to others! There are a total of 24 unique letters, which can be downloaded by title or all together in three sets. Categories plus a sample are shown below.